When it comes to positive listening and spoken language (LSL) outcomes, the consistency of a short daily routine can go a very long way. 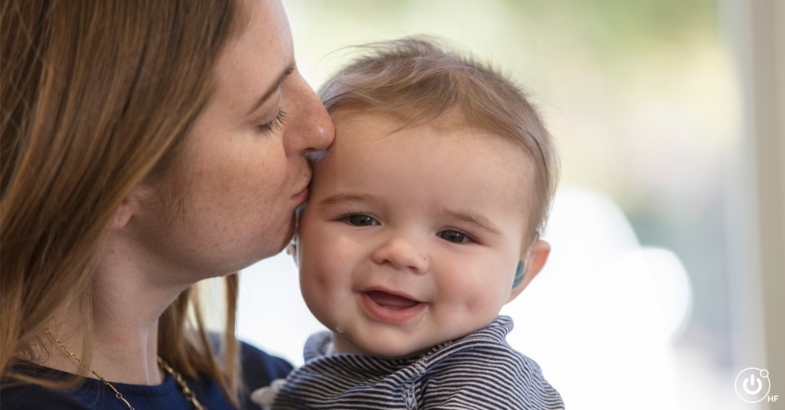 In the first five minutes of every day, your commitment to checking and putting on your child’s hearing technology will assure their brain has full auditory access to meaningful conversations and all the sounds of speech. By starting each morning with ‘ears on’, you’re powering your child’s potential for a positive LSL outcome. Here’s how to Take Five every day to help your child thrive on their LSL journey! First thing in the morning, check your child’s devices to make sure they’re in working order. This means checking the batteries and doing a visual inspection of the devices. Listen to the devices with a listening tube or headset. How do they sound? Your pediatric audiologist can coach you in this process for your child’s specific devices. Get your child’s hearing devices on their ears as soon as they’re awake. If you’re a hearing parent, you can hear all of the sounds around you the moment you wake up. Your child needs to hear your voice and all of the sounds of the home from the very first minute they are awake. Do a quick listening check. You want to make sure that with the hearing devices checked and on their ears, your child can hear all of the sounds of speech as the devices are programmed. Your LSL early interventionist can coach you to do a listening check that is best for your child’s needs. Observe throughout the day. Is your child responding to your voice when the hearing devices are on? Did they alert to all of the sounds when they were presented? Write down the sounds that your child doesn’t alert to so that you can share this with your early interventionist. Remember, the more you know about your child’s responses to sound, the more opportunities they have to learn to listen and talk! You can give them all they need to be ready to learn in just the first five minutes of their day. You can also download these tips in a convenient handout! Download the checklist from Hearing First and place it in an accessible location to easily remind you and other caregivers to Take Five! Blog post originally appeared on the Hearing First blog, How Five Minutes can Power Your Child’s Potential for Listening, Talking, and Reading. Big Day of Giving 2019 - We Need Your Help! CCHAT Uncorked 2019 - Thank You! What Is Auditory-Verbal Therapy for Babies?